Longtime Chicago White Sox All-Star catcher and current free agent A.J. 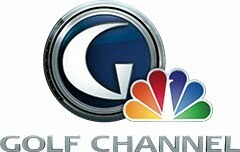 Pierzynski joined Golf Channel’s Morning Drive this morning to discuss a variety of topics from golf to baseball. Pierzynski is competing this week in the Pro-Am portion of the Children’s Miracle Network Hospitals Classic PGA TOUR event at Walt Disney World Resort on Thursday and Friday.